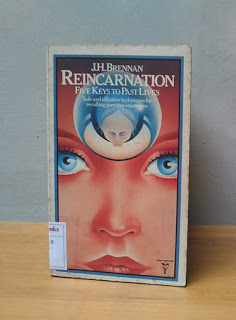 Reincarnation, J. H Brennan. Five Keys To Past Lives. Safe and effective techniques for recalling previous existences. Have you lived before ? Do you fill assured of a previous existence and confident that you have personal knowledge pf past ages? Or perhaps, like most people, you have no distinct impression of having been on earth before. If so, this book will introduce you to a number of safe and reliable methods for inducing memories of your previous incarnations - including using a ouija board, hypnotic regression, astral travel, and the Christos technique. If you have ever wondered about the truth of Reincarnation, here is a chance to find out for yourself - literally.